3. William John MURPHY (John William , William J. ) was born in 1846 in probably Knocklonogad, Garryhill, Co. Carlow. He died on 12 Feb 1932 in 71 Irishtown, Clonmel, Co. Tipperary. He was buried in St. Patrick's Cemetery, Clonmel, Co. Tipperary. In July 1861, at the age of about 15, William began a two-year course at the Albert Agricultural College in Glasnevin, Dublin. During this time he lost his left hand in an agricultural machinery accident, which occurred when his brother John, who would have been a very young child at the time, was visting William at the college and got caught in the machine. William helped to release him but lost his hand in the process. It is likely the accident occurred in January 1863 as Albert College records show that William left his studies on sick leave on 28 January 1963, returning on 28 February 1863. Unable to pursue his career plans in horticulture with just one hand, William turned to teaching and was offered a position in the boys' section of the workhouse school in Clonmel, Co. Tipperary, where he taught for a number of years from about 1864. Given his farming qualification it is possible he gave instruction in this subject in the workhouse school. He certainly maintained a strong interest in agriculture throughout his life and was a prolific contributor of letters and articles to farming and gardening magazines, e.g., "The Irish Farm, Forest and Garden", "The Gardener's Chronicle", "The Garden", "Journal of Horticulture", "Farm and Home" and "The Gardening World". He always signed himself "WJM Clonmel" and was still being published in 1916, when he was about 70. His success in having articles published may have led to William's move from teaching into a career in journalism. He ended up running The Clonmel Nationalist newspaper, which was established in 1890 to communicate the views of the nationalist community in Tipperary. He is variously described as founder, manager, editor and publisher of the newspaper but I am unsure which role(s) actually applied to him. I have been told he owned the building in which the newspaper was printed. The paper is still in business and is now simply called The Nationalist. At the time of his second marriage, to Mary, in 1896 William was living in Old Grange, Clonea, Co. Waterford. Later he and Mary lived at 71 Irishtown in Clonmel. In the early 1900s William was influential in getting the statue of "The '98 Man", commemorating those nationalists involved in the 1798 Rebellion, erected in Clonmel. The statue, in front of the town hall, was unveiled in 1904. In March 1909 William was arrested at his home in Irishtown and charged with criminal conspiracy arising out of the intimidation of a landowner named Charles Neville Clarke who owned property in Graiguenoe, Holycross, Co. Tipperary. William and eight others were accused of threatening Mr. Clarke in order to force him sell the lands surrounding his Graiguenoe home to the Estates Commission so they could be divided among other local farmers. The intimidatory tactics cited in the "Holycross Conspiracy Charge", as it was known, included the publication in The Nationalist of allegedly inflammatory articles concerning Mr. Clarke. The case was widely reported on at the time, and the manner of William's arrest (the police came to his home before 6am, while William was still in bed, which was a departure from usual protocol when arresting prominent citizens) was raised in the House of Commons by John Redmond of the Irish Parliamentary Party and Hilaire Belloc of the Liberal Party. The case was heard in May 1910 and William was acquitted but the other eight accused, who were not known to William, were found guilty and served prison sentences. 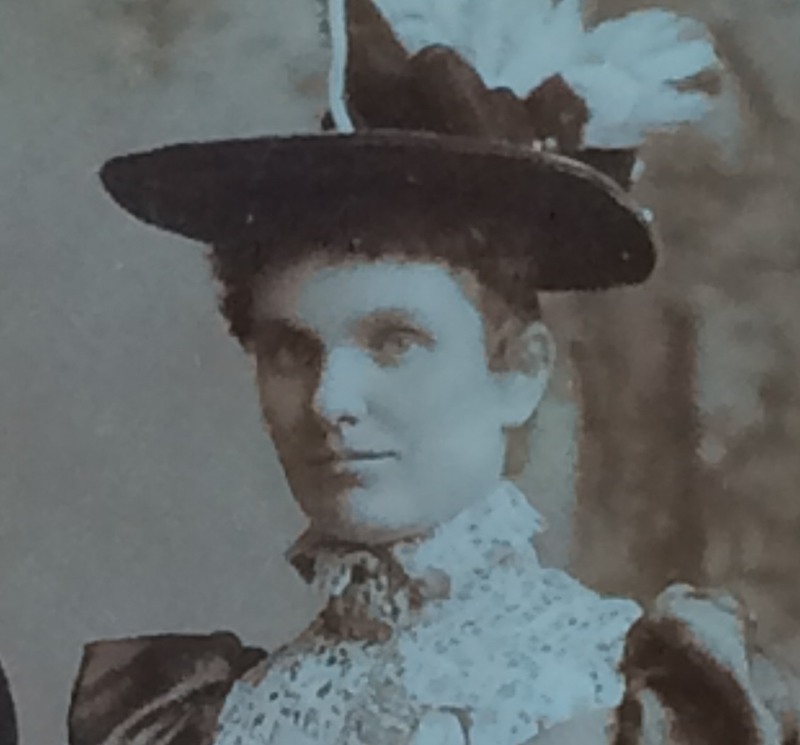 William married Ann MCCARTHY in 1890. Ann died before 6 Oct 1896. Ann, who died as a young woman, had no children with her husband, William. William later remarried and had a family. William also married Mary Margaret CHEASTY, daughter of John CHEASTY and Brigid FLAHAVAN, on 6 Oct 1896 in Carrick-on-Suir, Co. Waterford. Mary was born about 12 May 1867 in probably Portlaw, Co. Waterford. She was christened on 14 May 1867 in Clonea & Rathcormac, Co. Waterford. She died on 21 Dec 1933 in Irishtown, Clonmel, Co. Tipperary. She was buried in Clonea, Carrick-on-Suir, Co. Waterford. The sponsor at Mary's baptism was J. Anna Flahavan. Mary, who was from Portlaw, Co. Waterford, was William's second wife. At the time of her marriage in 1898 Mary was living in Mothel, Carrick-on-Suir, Co. Waterford and was working as a housekeeper. According to the 1911 census, Mary and William had had five children born alive, all of whom survived to adulthood. Mary's aunts Nano and Georgina (Flahavan?) funded the education of Mary and William's four daughters, Marion, Pearlie, Alice and Ena. I am told that four brothers from an earlier generation of Mary's family (names unknown) were killed at Vinegar Hill during the 1798 Rebellion. The witnesses at William and Mary's marriage were Brendan J. Long (an editor at the Clonmel Nationalist newspaper) and Mary Flahavan. William and Mary had the following children. Marion Delia MURPHY was born on 19 Jul 1898 in Clonmel, Co. Tipperary. She died on 11 May 1983 in Thurles, Co. Tipperary. She was buried in St. Patrick's Cemetery, Clonmel, Co. Tipperary. After leaving Loreto secondary school in Clonmel, Marion attended a college in Devon (course unknown) after which she worked at Harrods in London from 1914 to 1918, living initially in the Kensington/Brook Green area of London. At some point she spent three years in Paris. She later returned to Ireland where she worked as an official in the Office of Public Works. After their marriage in 1936, she and her French husband, Louis, lived in Dublin before moving to London around 1939. Marion and Louis had no children. Marion moved back to Ireland after Louis' death in 1944, living for many years in a flat on St. Stephen's Green. She died at a nursing home in Thurles aged about 85. It is not known when Marion and Louis first met but it is possible it was while Marion was living in Paris. Apparently Marion was a friend of Louis' sisters but it is not known if she knew them before she met Louis. Another possibility is that the couple met through Kathleen Clarke, who was Louis' Dublin landlady and a friend of Marion's, but we do not know if the friendship between Marion and Kathleen came about before or after Marion and Louis met. There has also been speculation that they may have met through contact between Louis and Marion's father, a staunch nationalist, in connection with political matters. Marion married Louis Napoléon LE ROUX on 20 Jul 1936 in St. Andrew's Church, Westland Row, Dublin. Louis was born in 1890 in Pleudaniel, Brittany, France. He died on 5 Aug 1944 in Middlesex Hospital, Marylebone, London. He was buried on 10 Aug 1944 in Surbiton Cemetery, Surrey. Apparently it was Louis himself who added Napoléon to his first name, and it appears that neither his wife nor the Le Roux family were ever quite sure why he did this. The name given on his marriage and death records is, however, Louis Marie Le Roux. Louis was a journalist, author and fervent supporter of the Breton separatist movement. He worked as either a bookkeeper or private secretary to Breton nationalist and writer Taldir Jaffrennou and wrote for a number of Breton separatist publications, including the bilingual (French/Breton) newspaper Ar Bobl of which he was also a sub-editor. In 1911 he co-founded, with Camille Le Mercier d'Erm, the Parti National Breton (Breton Nationalist Party). It is said that Louis fled France for Switzerland in 1913 to avoid conscription into the French army and that attempts were made to extradite him back to France. However, letters written to a friend, Paul Buchet, whom Louis first met around 1910 when both were doing compulsory military service in Saint-Malo, suggest that this was not the case. The letters, sent from Paris during 1913 and in early 1914, clearly show Louis’ intention to move to England in the near future. There is no mention of conscription or Switzerland, rather there are several references to the English lessons he was taking during 1913 in preparation for the move. He finally decided on 28 January 1914 to move to London the following week, following the end of a love affair with a woman who he felt had treated him badly. Lodgings in London were organised (in the home of a Mrs. Goode of 10 Burnley Road, Stockwell) and there is no reason to indicate he did not make the journey. It is of course possible Louis was conscripted once war broke out, and fled to Switzerland at that point, or maybe attempts were made to extradite him back to France from England. Regarding Louis' whereabouts during the war, it is thought that he visited Ireland for the first time in 1914, and we know that he served in the British Army from June 1916 until September 1917 when he was discharged on medical grounds. It is also known that he visited Ireland in 1919 when he spoke at a conference in Dublin hosted by the Irish Literary Society. 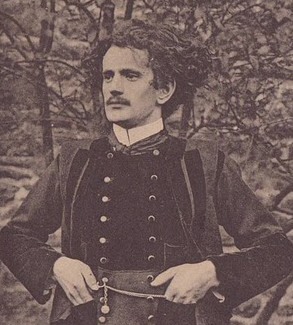 In 1922 he was still living in London, working as private secretary to the British Labour politician (later prime minister) Ramsay MacDonald, whose papers he was translating into French. Louis returned to Ireland in 1930 to visit the grave of United Irishmen leader Wolfe Tone (in Bodenstown Cemetery in Co. Kildare). He was still living in London in 1932 and it is thought that he moved to Ireland around 1933, lodging for a number of years in the Dublin home of Kathleen Clarke, widow of Tom Clarke, one of the leaders of the 1916 Rising. Through republican contacts he found work with the Irish Hospitals' Trust (founded to provide funds, by means of a sweepstake system, for hospitals in Ireland). His job, in the Trust's Foreign Department, apparently involved the clandestine distribution of sweepstake tickets, through a republican network, in the United States where such lotteries were illegal at the time. It is likely that Louis met Irish-born Marion Murphy, whom he would marry in 1936, shortly before leaving England for Ireland, or very soon therafter, because in 1932 or 1933 he was accompanied by a young Irishwoman on a 'Tro Breizh' pilgrimage in Brittany (that follows a route linking the seven Breton towns associated with Brittany's seven founding saints). Due to economic cutbacks at the outbreak of World War II, Louis lost his job at the Irish Hospitals' Trust and, in 1939 or 1940, he and Marion reluctantly left Ireland to live in London. There he worked as an assistant to future Conservative prime minister Harold Macmillan. In 1944, however, Louis died following a German bombing raid. There are conflicting accounts of the exact circumstances of his death. According to one family source, Louis suffered a heart attack following a German attack. Another family member has told me he died from head injuries received when a building collapsed during a German raid, while Presse d'Armor journalist Dimitri Rouchon-Borie, in his 2008 article, 'Qui était donc Louis Napoléon Le Roux ? ', tells us that Louis was in hospital in London suffering from a severe bout of flu and was killed when a V2 bomb was dropped on the building. And according to Louis' obituary in the Irish Press, he died "after a short illness". What is certain is that Louis died in the Middlesex Hospital in London. His address at the time of his death was 14 Prince of Wales Terrace, Kensington, London. Louis' best-known work was a biography of Irish nationalist Padraic Pearse, 'L'Irlande Militante : La vie de Patrice Pearse', published in France in 1932 and translated into English shortly afterwards. It is believed the publication of this book may have been a factor in Louis being granted Irish citizenship in 1932. Other published works included several articles for the republican newpaper An Phoblacht in the early 1930s, and the publication in 1936 of 'Tom Clarke and the Irish Freedom Movement'. Louis also compiled a biography of the Limerick Fenian John Daly (an uncle of Kathleen, Tom Clarke’s widow), which remains unpublished. In 2008 the Irish government purchased Louis' private papers from Marion's family. These documents are historically significant in that they provide fresh material relating to Irish republicanism in the early part of the 20th century. Now in the National Library in Dublin, the papers include correspondence with several leading republicans, including a number of survivors of the 1916 Rising. Many of these correspondents had provided Louis with information for his articles and biographies, but because of the risks to their security, Louis was at the time unable to reveal his sources in his published works; such secrecy is no longer necessary. Many thanks go to Bob Boles and Didier Longuèvre for much of the above information. Further details on Louis' life and involvement in nationalist affairs may be found in Éamon Ó Ciosáin's article entitled 'La Bretagne et l'Irlande pendant l'entre-deux guerres (Première partie)', published (in French) in the Spring 1988 edition of the Breton historical journal Dalc'homp Soñj. + 13 M ii Patrick (Paddy) Joseph MURPHY was born on 15 Mar 1900. He died in 1984. + 14 F iii Margaret (Pearlie) M. J. MURPHY was born on 25 Sep 1902. She died about 2004. + 15 F iv Alice MURPHY was born on 27 Feb 1905. She died on 12 Oct 1964. Georgina (Ena) Mary MURPHY was born on 18 Mar 1907 in Clonmel, Co. Tipperary. She died on 13 Nov 1974 in Ireland. She was buried in St. Patrick's Cemetery, Clonmel, Co. Tipperary. Ena attended Loreto convent school in Clonmel. I am told she worked as a teacher there and later became a nurse. She worked at the Hospital of St. John and St. Elizabeth in London and also at Charing Cross Hospital in London. Ena lived in Chelsea area of London, Chertsey and Esher in Surrey and West Wittering in West Sussex before returning to Ireland after the death of her husband, Toby. Back in Ireland, Ena lived with her brother John on Burnaby Road, Greystones, Co. Wicklow. Ena is buried with her father, William, and her sister Marion in St. Patrick's Cemetery, Clonmel. Georgina married John Raymond (Toby) ASHWELL-COOKE, son of John Arthur COOKE and Frances Elizabeth ASHWELL, on 4 Mar 1937 in St. Mary Magdalen's Church, Bexhill-on-Sea, East Sussex. John was born on 5 Jan 1907 in Cheshire. He died in 1971 in Horsham, West Sussex. Toby was born with just the Cooke surname, Ashwell (his mother's maiden name) being a middle name. The Ashwell and Cooke names were later hyphenated, giving a new surname. His mother also used the Ashwell-Cooke name as she died as Frances Ashwell-Cooke. Toby was the youngest son in the Ashwell-Cooke family. The Electoral Register of 1933 tells us that Toby was living at the time at 4 Half Moon St. in Westminster, London. He and his wife, Ena, married in 1937 in Bexhill-on-Sea, East Sussex, where his father was living at the time. Toby was aviation expert. 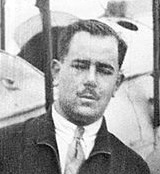 He was a qualified pilot with his own small plane, a founder of the London Gliding Club and author of a number of technical books on aviation, including 'Motorless Flight' (1932). Toby and Ena had no children. John William MURPHY was born on 16 Sep 1911 in Clonmel, Co. Tipperary. He died on 1 Mar 2006. He was buried in St. Patrick's Cemetery, Clonmel, Co. Tipperary. John attended Clonmel High School. He worked for a time for the ESB (Electricity Supply Board) before moving to London around 1938 where he worked for the Lucas Rotax aircraft company. John, who never married, returned to Ireland around 1974, living on Burnaby Road, Greystones, Co. Wicklow. He lived with his sister Ena initially, until her death in 1975. John himself died in 2006 at the age of 95. He is buried in St. Patrick's Cemetery, Clonmel, not far from the grave of his father, William, and sisters Marion and Ena. 6. James MURPHY (John William , William J. ) was born about 2 Mar 1851 in Knocklonogad, Garryhill, Co. Carlow. He was christened on 2 Mar 1851 in Myshall, Co. Carlow. He died after 3 Sep 1910 in probably England. Sponsors at James's christening were John MacDonnell and Bridget (no last name given). James was a tax collector. At the time of his marriage in 1880 he was living in Castleblayney, Co. Monaghan and at the time of the 1901 census he was living with his family in Corbally, Limerick. From the Nationalist and Leinster Times edition of 3 September 1910 we learn from a brief piece on his brother William (who had recently been acquitted in the Holycross Conspiracy case) that James was at that time living in Burton-on-Trent, Staffordshire. However, just a few months later, in the 1911 census of England and Wales, James is listed with his family at "Innisfail", 12 The Avenue, Surbiton, Surrey. James married Louisa Anna KEENAN, daughter of Hugh KEENAN, on 19 Sep 1880 in Muckno, Castleblayney, Co. Monaghan. Louisa was born about 1853 in Co. Dublin. She died in possibly England. Louisa was an only daughter. She appears to have also gone by the name Louisiana. The 1911 census tells us Louisa was a tax collector, like her husband, James. 'unknown' MURPHY was born in Dublin. 'unknown' died. Ursula Mary Stephanie MURPHY was born on 26 Jan 1884 in Windsor House, Fairview, Dublin. According to her birth record Ursula was born on 26 January 1884. However, according to the 1939 Register she was born on 25 December 1883. The 1939 Register also tells us Ursula was working at that time (September 1939) as a civil servant in the Foreign Office. She was single and was living at 12 Milton Chambers, Chelsea, London. Cyril Francis Joseph MURPHY was born on 5 Jul 1886 in Windsor House, Fairview, Dublin. He died on 13 Jul 1931 in 13 St. Leonard's Road, Surbiton, Surrey. He was buried in Surbiton, Surrey. Cyril was working as a customs and excise officer at the time of the 1911 census. Cyril was only 45 years of age when he died. His address at the time of his death was 13 St. Leonard's Road, Surbiton, Surrey. Eugene Andrew Joseph MURPHY was born on 19 Mar 1889 in 50 Upper Rathmines Road, Dublin. He died in probably U.S..
Eugene was a medical student at the time of the 1911 census. He may not have completed his medical studies as he is listed in the 1930 United States census as a "cost clerk" in the building industry, or he may not have beeen qualified to practice in the U.S. with a medical degree from Ireland. Eugene lived in Canada for a time before moving to the U.S. with his wife, Susanne, in 1923. They settled in Huntington Park, California. Eugene married Susanne E. 'UNKNOWN' about 1923. Susanne was born about 1889 in St. John's, Newfoundland. Bernadette Myra Louisiana MURPHY was born on 20 Nov 1891 in 50 Upper Rathmines Road, Dublin. Unfortunately we have no information on Bernadette. 8. Michael McDonald MURPHY (John William , William J. ) was born about 1855 in Knocklonogad, Garryhill, Co. Carlow. He died before 2 Apr 1932. Michael was a solicitor. His address at the time of his first marriage, to Ellie, in 1881 was Kensington Lodge, Monkstown, Dublin. He was the informant on the death certificate of his brother Thomas (1883), on which his address is given as Borris, Co. Carlow. By the time of the 1911 census Michael was living with his second wife, Florence, and their children (including May, one of his children with Ellie) on Parliament St. East in Kilkenny. Michael married Elinor (Ellie) Mary CORCORAN, daughter of Laurence William CORCORAN, on 29 Sep 1881 in St. Andrew's Church, Westland Row, Dublin. Elinor was born in possibly Enniscorthy, Co. Wexford. She died before 1898. John C. J. MURPHY died. John was a solicitor and under-sheriff of Co. Kilkenny. He lived in Millmount, Maddoxtown, Co. Kilkenny. John married Claire Maxine HEALY, daughter of John A. HEALY, on 5 Oct 1926 in University Church, St. Stephen's Green, Dublin. Claire died. Claire was from Millmount, Maddoxtown, Co. Kilkenny. Mary (May) MURPHY was born about 1891 in Co. Kilkenny. Michael also married Florence Marion MILLS, daughter of Edwin MILLS and Elizabeth 'UNKNOWN', in 1898 in Huddersfield, Yorkshire. Florence was born in 1876 in Huddersfield, Yorkshire. Esme Eva Elizabeth MURPHY was born about 1901 in Co. Kilkenny. She died. Edith MURPHY was born about 1903 in possibly Huddersfield, Yorkshire. She died. 9. Mary MURPHY (John William , William J. ) was born about 29 Mar 1857 in Knocklonogad, Garryhill, Co. Carlow. She was christened on 29 Mar 1857 in Myshall, Co. Carlow. She died on 2 Apr 1932 in Garryhill, Co. Carlow. She was buried in Drumphea Cemetery, Co. Carlow. Sponsors at Mary's christening were John MacDonald and Margaret MacDonald. Mary died of stomach cancer. 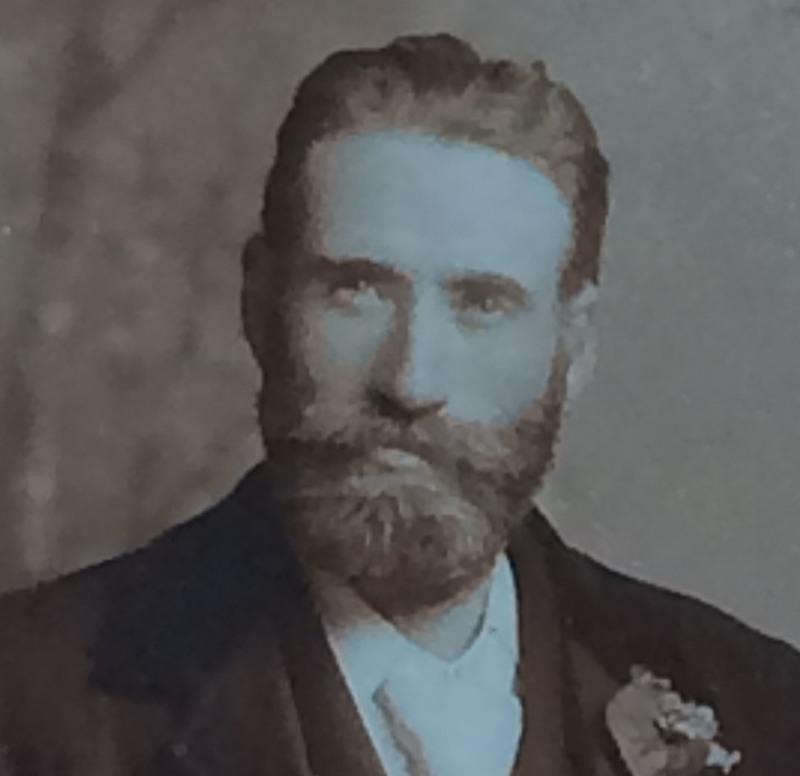 Mary married Malachy RYAN, son of Loughlin RYAN and Bridget NOLAN, on 21 Jun 1887 in Fairview, Dublin. Malachy was born about 1850 in probably Garryhill, Co. Carlow. He died on 28 Mar 1924 in Garryhill, Co. Carlow. He was buried in probably Drumphea Cemetery, Co. Carlow. It is not known if Malachy had siblings. Like his father before him, Malachy was headmaster of Garryhill School, a primary school located about 100 yards from the cottage where Malachy was living (in Knocklonogad?). Malachy also taught Greek and Latin to students wishing to study for the priesthood. He and his family also ran the local post office, and it appears he also took over the Knocklonogad farm of the family of his wife, Mary. According to the 1911 census, Malachy and Mary had been married 23 years and had six children born alive, all six of whom were alive at the time of the census. Malachy's death certificate tells us that he died of "senile decay". Loughlin RYAN was born on 19 May 1888 in Garryhill, Co. Carlow. He was christened on 20 May 1888 in Bagenalstown, Co. Carlow. He died on 21 Sep 1955 in Knocklonogad, Garryhill, Co. Carlow. He was buried in Drumphea Church Cemetery, Co. Carlow. Sponsors at Loughlin's baptism were Michael Nolan and Bridget Murphy. Loughlin, who never married, farmed in Knocklonogad in Garryhill. John RYAN was born about 6 Apr 1890 in Garryhill, Co. Carlow. He was christened on 6 Apr 1890 in Bagenalstown, Co. Carlow. He died on 2 Apr 1916 in Garryhill, Co. Carlow. Sponsors at John's baptism were Patrick Murphy and Anne McNally. John became a primary school teacher and taught at Garryhill School for only one year before his death, just short of his 26th birthday. John's death certificate tells he died of "Tubercular [what looks like] Arthritis" from which he had been suffering for one year, and "anaemia and exhaustion". Bridget (Bridie) RYAN (Sr. Gertrude) was born about 13 Mar 1892 in Garryhill, Co. Carlow. She was christened on 13 Mar 1892 in Bagenalstown, Co. Carlow. She died on 4 Oct 1969 in St. Leo's Convent of Mercy, Carlow. She was buried in St. Mary's Cemetery, Carlow. Sponsors at Bridie's baptism were Michael Kelly and Bridget Hogan. Bridie entered the convent, joining the Mercy order and becoming Sr. Gertrude. She lived in Carlow. + 32 M iv Thomas (Tom) Patrick RYAN was born about 22 Jul 1894. He died on 23 Feb 1941. + 33 F v Mary Brigid RYAN was born on 24 Mar 1898. She died on 18 Nov 1950. + 34 M vi Patrick (Paddy) L. RYAN was born about 21 Oct 1900. He died on 16 Apr 1973.